The director of the MIA Brigadier General Slavoljub Dabic has expressed his satisfaction over the traditional visit of the former heads and assessed that each of them invested great efforts during his career with an aim this Agency becomes the institution as it is now. “Since the work of an intelligence officer is clandestine, there are rare occasions when they are paid tributes for their work in public, but your colleagues who work in the MIA know how much you have sacrificed and given to the country”, the Director of the Agency emphasized. 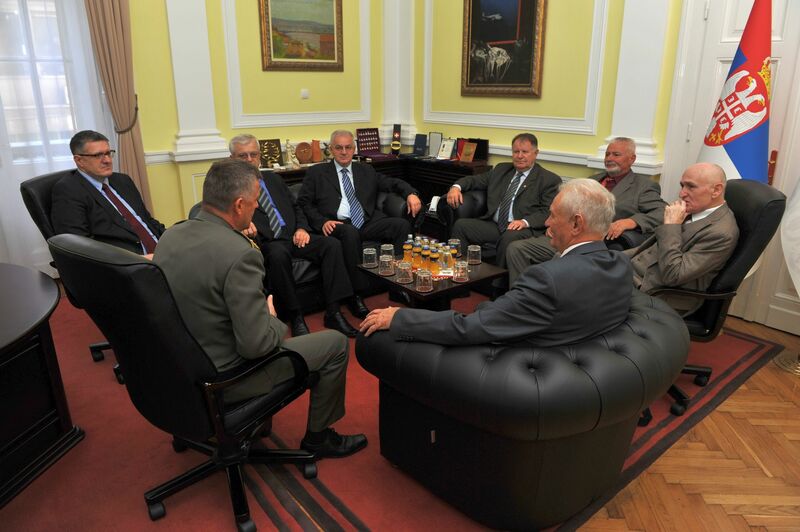 Among the former heads who attended the event were: Branko Krga, Branislav Anocic, Milorad Basaragin, Branimir Milovanovic, Radoslav Skoric and Zdravko Jelisavcic.